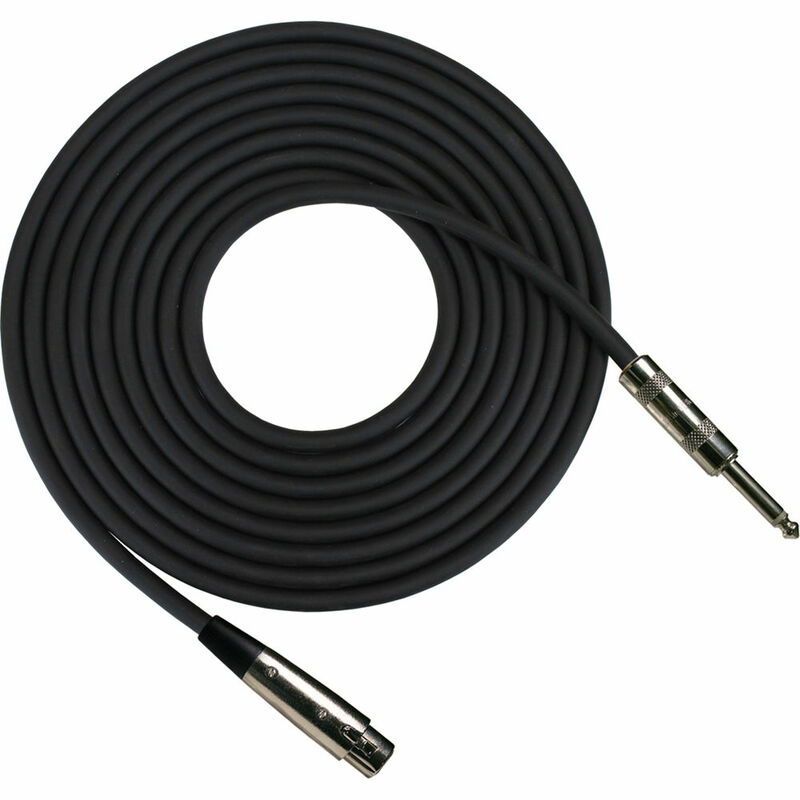 The black 25' HZ Microphone Cable from RapcoHorizon is used for plugging Hi-Z mics into unbalanced inputs. It features XLR female and 1/4" male connectors. The cable's outer jacket is a durable and flexible matte PVC compound.